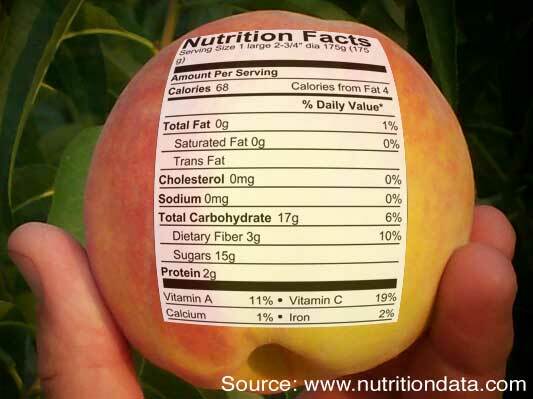 If you’re a “label reader,” you’ll be able to tell from the photo that in addition to being a good source of dietary fiber, one large peach is also a significant source of Vitamin A and Vitamin C. What this label doesn’t show is that one peach is also a great source of potassium—and available locally, whereas bananas are far from local for us North Carolinians. Other good minerals that you find in peaches peaches are iron, magnesium, phosphorous, zinc, copper and manganese. Want to know even more? Check out this nutrition chart has everything you could ever possibly want to know about the food values packed inside this delicious, fuzzy fruit.